The theme behind this year’s World Oceans Day, is “preventing plastic pollution and encouraging solutions for a healthy ocean”. In lieu of celebrating it today, June 8th, we wanted to share with our readers a little more about the issue of ocean plastic. How much plastic is in the oceans and where do we find it? Plastic waste is filling our oceans and covering our beaches, something we have personally witnessed on the shores of Fair Harbor. Science magazine reported that 5 to 13 million metric tons of plastic trash entered the ocean in 2010, and predict that number to increase every year. As avid beachgoers, we only see a small fraction of the waste that is actually in our oceans; the majority of it is trapped by oceanic currents in what are known as gyres. There are 5 major gyres and they are found in the North Pacific, South Pacific, North Atlantic, South Atlantic, and Indian Oceans. Trash accumulates in this swirling vortexes creating large patches of debris that floats on the surface, sinks to the seafloor, and even breaks down into microscopic fragments. How does it negatively impact ocean life? Besides the litter on our beaches, plastic is destroying marine life, as it’s found as either large pieces or microplastics, both of which are problematic for different reasons. Larger marine mammals are at risk of becoming trapped in nets that have been left behind. Plastic debris (like grocery bags and water bottles) have also put all marine animals at huge risk as they often mistake the trash for food. In one case, National Geographic reported finding a whale with 17 pounds of plastic in its stomach. Even the microscopic bits of plastic that get broken down by the sun and waves pose a problem for the inhabitants of the ocean when marine life accidently ingest them. These are just a few of the many reasons why it is so important that we eliminate the use of single use plastics and create innovative solutions to deal with the plastic that already exists on our beaches and in our oceans. How does it negatively impact humans? Often catching snappers on the dock of Fair Harbor, and cooking them up with eggs for breakfast, we love recipes with fresh fish. However, as you work your way up the food-chain, it is inevitable we consume the plastic that the fish consumes. This poses a problem for seafood lovers (such as ourselves) as studies have shown that these chemicals, pose a series of health risks like cancer, infertility, immune, metabolic, and behavioral disorders. A lot of the time we don’t think about where our plastic waste goes once we dispose of it, but it is apparent that we need to limit our use of single use plastics all together as it is coming back to harm us. While the issue of plastic can sound serious and scary, which it is, there is so much that every individual can do to help. With new technologies and innovations discovered each day, it is exciting to see the potential to live a future free of plastic. First, make a pledge to stop using single use plastics. Invest in a reusable water bottle, bring a tote bags to the grocery store, skip that plastic produce bags, use a Stasher Bag instead of ziplock. If you live near the coast, it’s easy to get involved in in local beach cleanup events or even bring a bag to collect trash on your next beach walk. If you’re looking to create a change beyond just the individual level, there are ways you can support efforts by your local legislative body ban single use plastic waste, like water bottles and plastic bags. 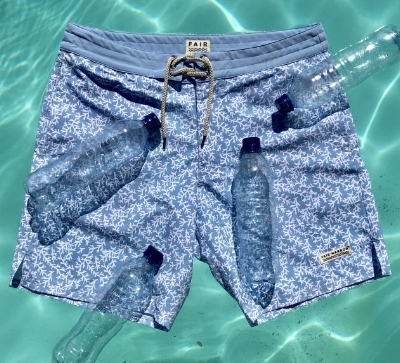 If you’re interested in learning more head over to the Parley and Plastic Oceans websites to find information on plastic waste, the current state of our oceans, and some interesting World Oceans Day events. You can also check out this blog post if you’d rather watch than read!